“Veli, sisko “ (Brother, Sister) is the name of possibly the best known Finnish anti-war song. The lyrics were first written by poet Elsa Rautee in 1936 for the chorus of the Social DemocraticYouth League in Nokia, Finland, which is near Tampere. They were the best known of Rautee’s lyrics. The song was inspired by crucial world events of the 1920s and 1930s, especially the Spanish Civil War which started in 1936, the Italian invasion of Ethiopia (1936) the Chinese Civil War (1927) and the Japanese invasion of Manchuria in 1931. The theme resonated with the Finnish left and labor movements, with the alarming growth of fascism leading the world toward war. Reijo Frank popularized Veli Sisko around 1969-70. With the advent of the brief Winter War when Soviet Union troops assaulted Finland on Nov. 30, 1939, almost the whole country united in its defense. It was a time when Arvo (Poika) Tuominen, secretary of the Finnish Communist Party-in exile, then stationed in Stockholm, broke with the Kremlin and urged all members of the outlawed Finnish Communist Party who lived in Finland, to join and defend the country, a call to which they mostly responded. So the Finnish anti-war movement fell into an eclipse for a time and “Veli, Sisko” was virtually forgotten as Finland became engulfed in the larger World War II. The Finnish antiwar movement was revived after WWII, when new conflicts, many Cold War- engendered, raised concerns. The Vietnam War in particular sparked a large, active, politically diverse peace movement in Finland during the 1960s and 70s. “Veli. 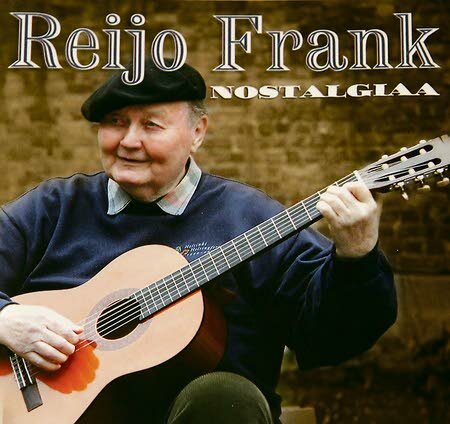 sisko” came back into prominence when popular Finnish labor and folk singer Reijo Frank was introduced to the song by Elsa Rautee’s nephew. Frank with his magnificent baritone made the song the centerpiece of his vast repertoire of songs, with which he has delighted Finnish audiences for decades. He recorded the song in 1969. Born in July of 1931, the much beloved Frank still continues to perform at age 79. The Finnish words ring beautifully in expressing the anguish of war and its causes. With what’s going in the conflicts of empire in Afghaniistan, Iraq and elsewhere, it’s as relevant today as it was in 1936. Following are the original Finnish lyrics to “Veli, sisko”, as well as a 2006 English translation, “Brother, Sister” by Tuomas Kaikkonen (slightly modified by Harry Siitonen). — Harry Siitonen, July, 2010. You hear the neighing of war horses. New ways to kill your fellow man. Workmen killing workers of other lands? When the debts of war are paid back? Is paid with the blood of the working class. Put an end to the horrors of war.